Ruyi’s Royal Love in the Palace 后宫·如懿传 has released more images of the wide cast of characters. Starring Zhou Xun, Wallace Huo, Janine Chang, Li Chun, Dong Jie, Tong Yao, Chen Haoyu, Xin Zhilei, Zeng Yixuan, Wu Junmei (Vivian Wu), Chen Xiaoyun, Huang Ming, Jing Chao, Li Qin, Yuan Wenkang, Hu Ke, Zhang Jiazhu, Cao Xiwen, Yu Yang, and He Hongshan, I am assuming these are simply costumes for more minor characters but that in itself is pretty mind-blowing. 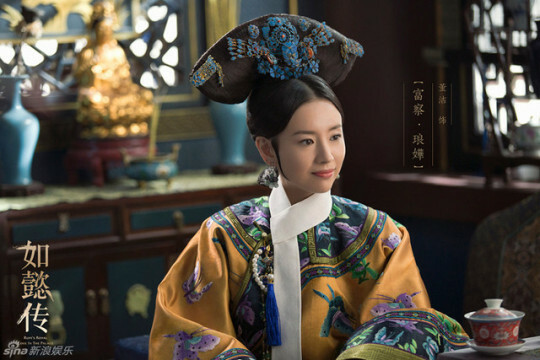 Ruyi’s Royal Love in the Palace 后宫·如懿传 has released stills. Starring Zhou Xun, Wallace Huo, Janine Chang, Li Chun, Dong Jie, Tong Yao, Chen Haoyu, Xin Zhilei, Zeng Yixuan, Wu Junmei (Vivian Wu), Chen Xiaoyun, Huang Ming, Jing Chao, Li Qin, Yuan Wenkang, Hu Ke, Zhang Jiazhu, Cao Xiwen, Yu Yang, and He Hongshan, wow these costumes and backgrounds are extravagant. Ruyi’s Royal Love in the Palace 后宫·如懿传 has released a New Year Greeting. Starring Zhou Xun, Wallace Huo, Janine Chang, Li Chun, Dong Jie, Tong Yao, Chen Haoyu, Xin Zhilei, Zeng Yixuan, Wu Junmei (Vivian Wu), Chen Xiaoyun, Huang Ming, Jing Chao, Li Qin, Yuan Wenkang, Hu Ke, Zhang Jiazhu, Cao Xiwen, Yu Yang, and He Hongshan, unfortunately there doesn’t seem to be much to look at in terms of sets or costumes. There’s the date! Another drama set for release! The Legend of Flying Daggers has a release date set for December 5th. Starring Hawick Lau, Yang Rong, Wu Yingjie, Huang Ming, Kenny Kwan, and Yuan Bingyan, those looking for a wuxia drama can take a look at this one. 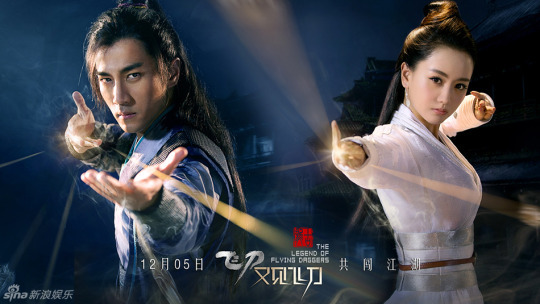 The Legend of Flying Daggers has released stills and a trailer again while we wait on a release date. Starring Hawick Lau, Yang Rong, Wu Yingjie, Huang Ming, Kenny Kwan, and Yuan Bingyan, this just reminds me how some Chinese dramas can sit around for ages before airing. Ruyi’s Royal Love in the Palace 后宫·如懿传 has released a production teaser. Starring Zhou Xun, Wallace Huo, Janine Chang, Li Chun, Dong Jie, Tong Yao, Chen Haoyu, Xin Zhilei, Zeng Yixuan, Wu Junmei (Vivian Wu), Chen Xiaoyun, Huang Ming, Jing Chao, Li Qin, Yuan Wenkang, Hu Ke, Zhang Jiazhu, Cao Xiwen, Yu Yang, and He Hongshan, a quick look for those interested. 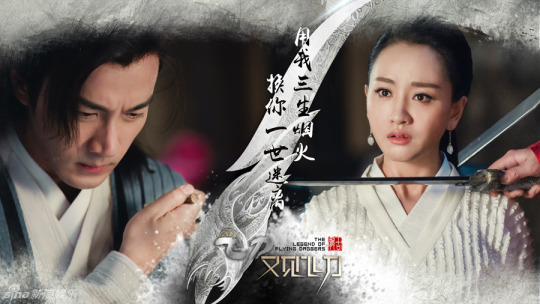 The Legend of Flying Daggers has released stills. 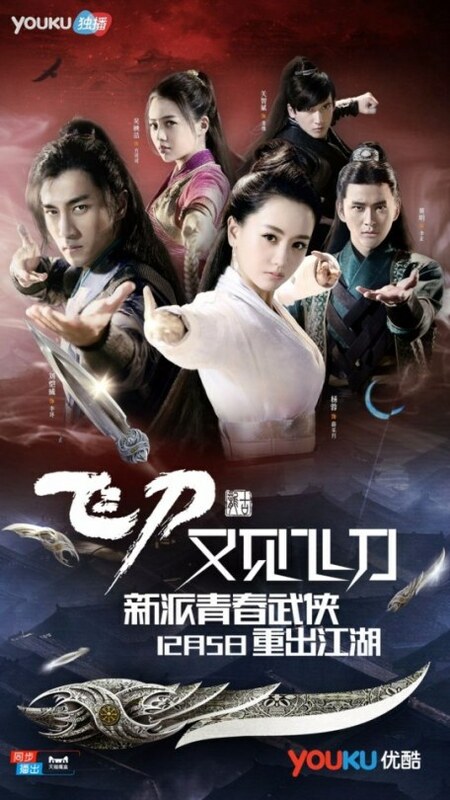 Starring Hawick Lau, Yang Rong, Wu Yingjie, Huang Ming, Kenny Kwan, and Yuan Bingyan, more for fans of this production.